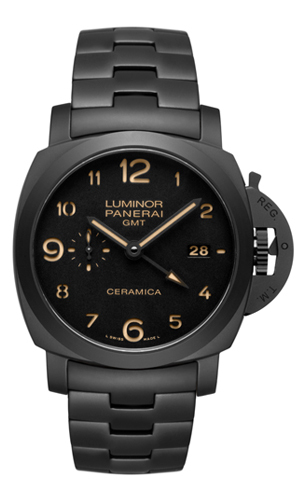 Also acquired along with the branch was the brand Officine Panerai, while the previous organization was called Panerai Sistemi. In the 1930s Officine Panerai was official supplier to the Italian Navy of sophisticated, high precision devices. Amongst the multitude of ideas and instruments realized, a special range of watches was created specifically designed for use in extreme and highly risky conditions. The acquisition of Panerai from the Vendome Group has underlined the turning-point of the Brand consecrating Panerai, through an international launch, as Brand of sport watchmaking with high quality. At the beginning an idea emerged – to put together a watch with an unusual and yet authentic shape, with an extraordinary testimonial, Sylvester Stallone - but no brand existed. - recruitment of a specialised workforce for the new needs. - P.2002 8 Days GMT: manual winding. - P.2003 10 Days GMT: automatic mechanical. - P.2004 8 Days GMT Chrono Monopulsante: manual winding. - P.2005 6 Days GMT Tourbillon: manual winding. These movements are destined to power Panerai's creations in the future, watches with values that will be increasingly appreciated among collectors and among those who make daily use of their watch an instrument of quality that lasts over time.